The Jaguar Car Club of Victoria (JCCV) is the official Jaguar Car Club for the state of Victoria. 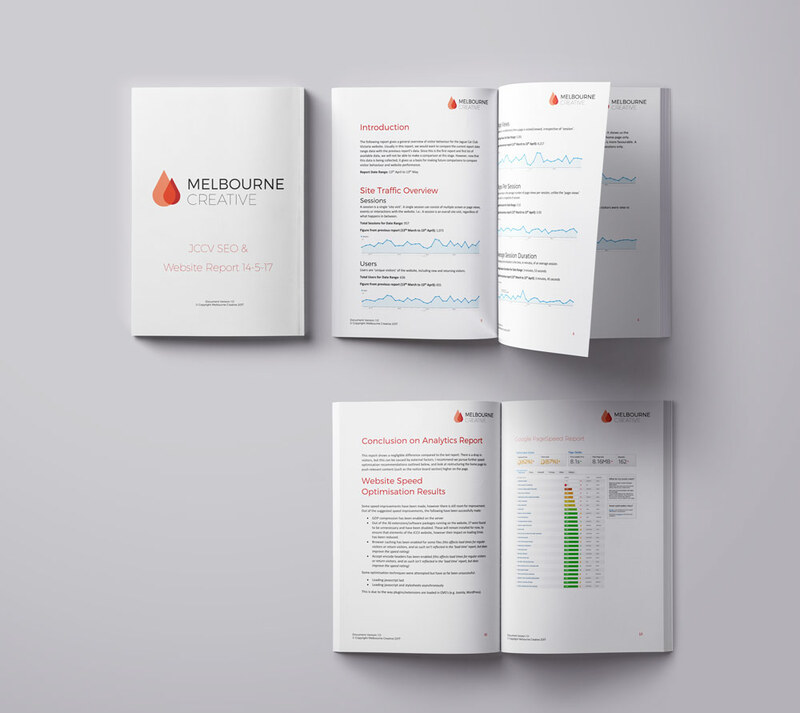 Melbourne Creative has been consulting for the JCCV on website SEO & speed Optimisation. Reports were generated for three months to assess website traffic, while enhancements were made to website speed optimisation within the limits of the framework of the existing Joomla website (developed externally). Consultation for the JCCV club continues in the form of assistance with website upgrades, monthly backups, design of digital assets for club events & general website maintenance. For information on the club or to become a member, visit their website.